Your mattress has always been there for you when you needed it, we hope you will also be there for it when mattress cleaning time comes. You spend a lot of time on your mattress and thus deep mattress cleaning should be of utmost priority and should be taken seriously by you. 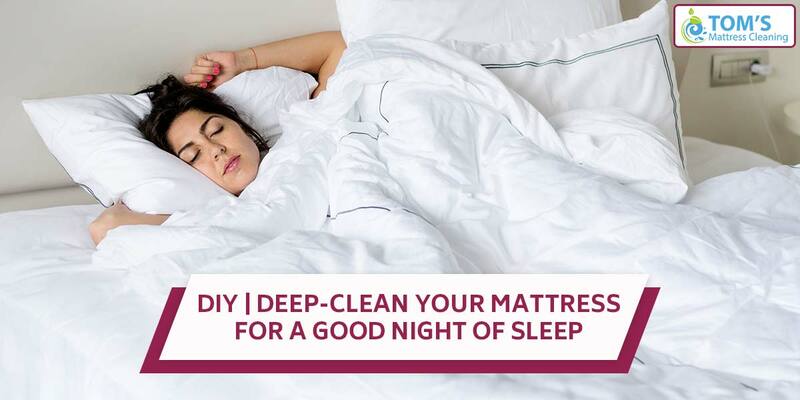 Here is how you can get your mattress cleaning done for a continued good night of sleep. Remove the bedsheets and toss them in the washing machine, place your pillow covers, blankets and duvets in the dryer. You should do this every 2-3 months. That will keep your mattresses from sagging and uncomfortable. Get one box of baking soda and add 10-20 drops of your favourite essential oil for fragrance. Sprinkle the mix on the mattress, massage deeply, let it stay for an hour at least. During this waiting time, clean up the rest of your room except the floor. After an hour vacuum your mattress, and then the floor. This method will make your mattress odour, allergens, and dust mite free. Toms Mattress Cleaning Melbourne is here to guide through your deep mattress cleaning process. Call them on 1300 068 194.